perps have proceeded as planned? because of the critical investigative reporting by the Alt Media. There’s only one reason why the liberals (they are really socialists, marxists and communists) haven’t staged a full-scale rebellion against the Trump Administration yet. 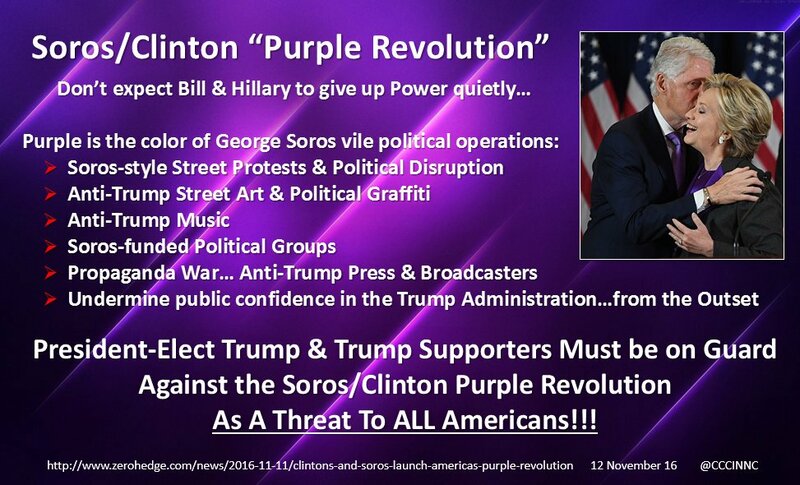 The Alt Media has disseminated so many warnings about the Purple Revolution (PR) that their subversive schemes have been consistently thwarted. However, that does not mean that the perps will be deterred. they are all easily manipulated by the PR front men and women*. Very few Americans really comprehend the degree of social engineering that they have been exposed to. Today’s ultra-liberal mindset is a product of that purposeful plot to move the nation toward socialism, and then to communism. After decades of implementing the deliberate agenda dictated by Cultural Marxism, many have succumbed to its influences. These are many and diverse. And they continue to be highly destructive to American society. In fact, during the 8 long years of Obama, Cultural Marxism saw an unprecedented intensification which has led to the irreparable tearing of the social fabric. This was the very reason why George Soros was Barack Obama’s primary campaign sponsor—twice. This is also why Soros backed Hillary Clinton’s candidacy. If things go according to plan, the purple revolutionaries intend to take their uprising to the next level. 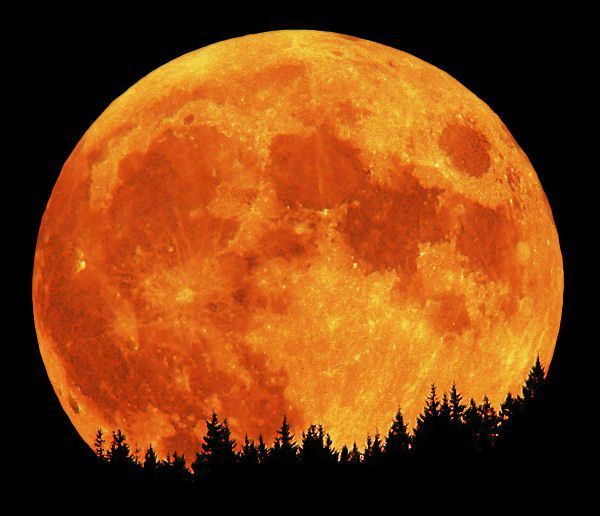 They have identified this Saturday, Nov. 4th, the day of the “Hunter’s Moon”, also known as the “Blood Moon”, to launch their highly misguided revolution. Just who and what are some of the forces behind this terrorist enterprise? “REFUSE FASCISM” is just one example. A close reading of their website reveals that they are both a terrorist organization, as well as a group of traitors bound together by their hatred of all things Trump. The “REFUSE FASCISM” Facebook page shows just how much they are hellbent on carrying out their exercise in anarchy. This coming Saturday was supposed to see a calculated coordination of acts of defiance and violence across the country. “REFUSE FASCISM” is just one pillar of the overall platform that these Bolsheviks plan on executing. There are other clandestine moves and maneuvers which must be watched in real time as they have been kept a carefully guarded secret. 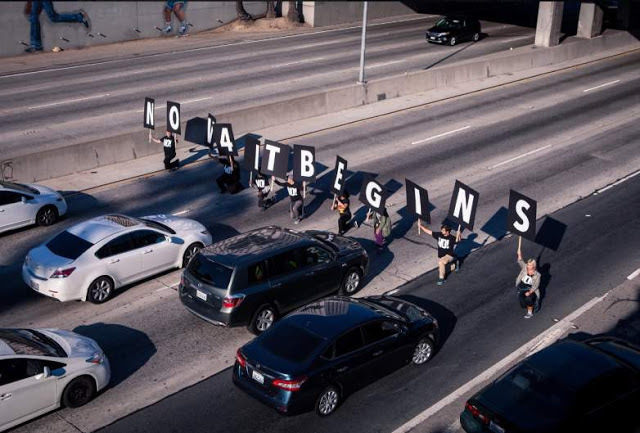 Is Antifa Planning A Major Uprising On November 4th? No matter what does or does not occur this Saturday, there’s no question that the PR leaders are using this date to commence their war on the POTUS. The furtive operational commanders will likewise test the effectiveness of their communist game plan. The timing of the DoD’s training exercise could not be more suspicious. Of course, the reason for so much suspicion is because of the extraordinary correlation between government drills and exercises that have occurred on the very same day as various false flag terror attacks and other black operations. The truth movement is now conditioned to prepare for false flag operations anytime there is an announced drill by any government—municipal, state or federal. Government officials have proven repeatedly that they will take advantage of such drills to stage terror events that are both shocking and purposefully timed. How will this scheduled DoD exercise work out with (and likely support) this Saturday’s revolutionary activity? Only time will tell. There are specific reasons that the November 4th date was chosen to inaugurate the hot phase of the Purple Revolution. The top decision-makers selected the full moon during the week of Halloween because of the volatile and anarchic energies which will dominate. It’s well known that the lunatics are always looking to escape the asylum during the full moon, especially on the night of the Blood Moon which is usually in October. Those who have fastidiously choreographed this event have certainly used their black arts of occult astrology, cabalistic numerology and talmudic freemasonry. While the discussion of these is well beyond the scope of this article, suffice to say that every location and exact time of protest and/or riot has been meticulously scheduled. Given the extensive planning and forethought that has gone into this incendiary weekend, it’s possible that something BIG will take place somewhere in the lower 48. Exactly what and where is difficult to say, as secrecy is always a part of their psyops. However, it’s also quite possible that, because the Alt Media has done such a good job alerting the truth movement to these treacherous ploys on Nov. 4, they will mostly be averted.